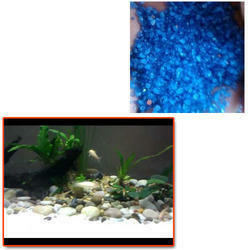 Offering you a complete choice of products which include aquarium sand for freshwater. We are instrumental in offering Aquarium Sand for Freshwater. These are processed using the best grade materials that we procure from the trusted vendors. These are available in colorful range as well so that we can meet the diversified requirements of our clients and they can customize these sands as per their color choice. Quality is the priority for us, hence we do not let the product dispatched before the final quality test. Looking for Aquarium Sand for Freshwater ?